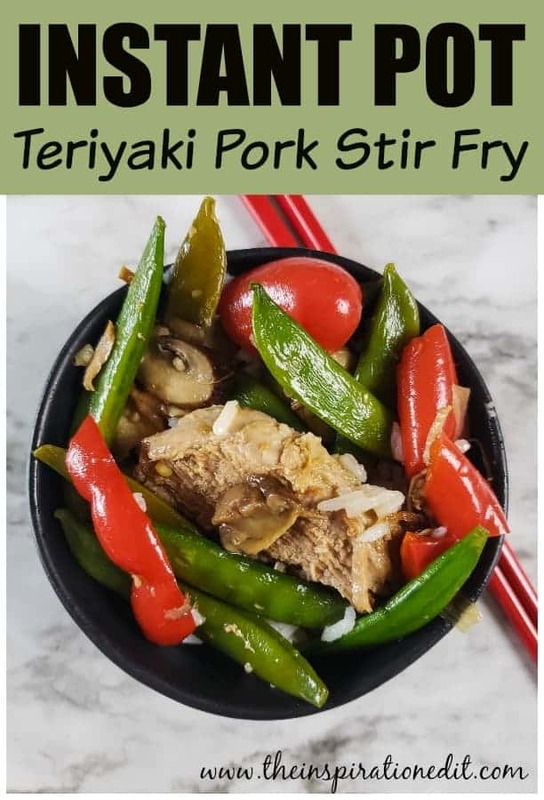 Instant Pot Teriyaki Pork is a super tasty recipe that you will love to try. 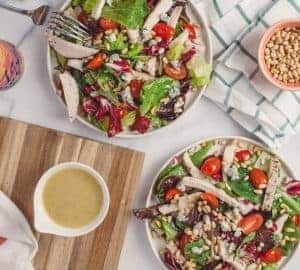 Today on The Inspiration Edit, I am sharing this wonderful and fantastic meal idea which is super easy and fast to cook. 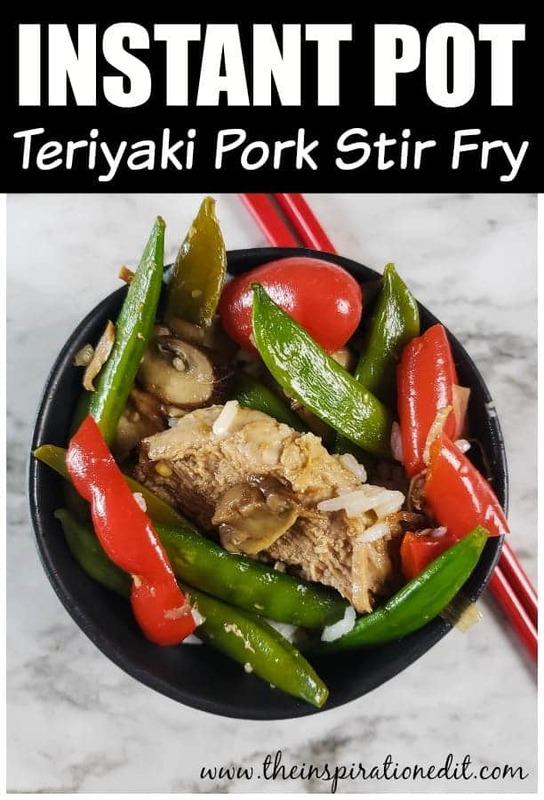 Stir Fry is a super tasty dish which has many health benefits. 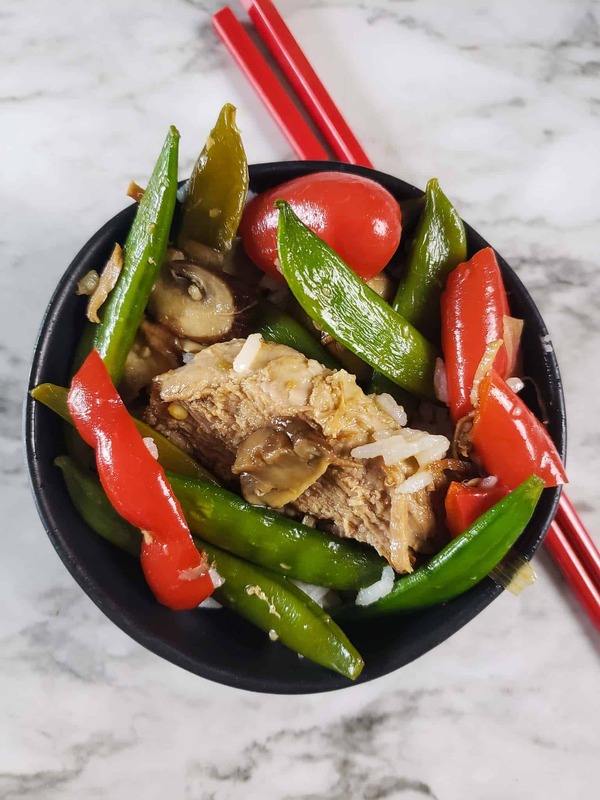 You can add plenty of coloured vegetables and goodness to your stirfry. Bell peppers are full of Vitamin C and the more colourful the vegetables the better for the body. 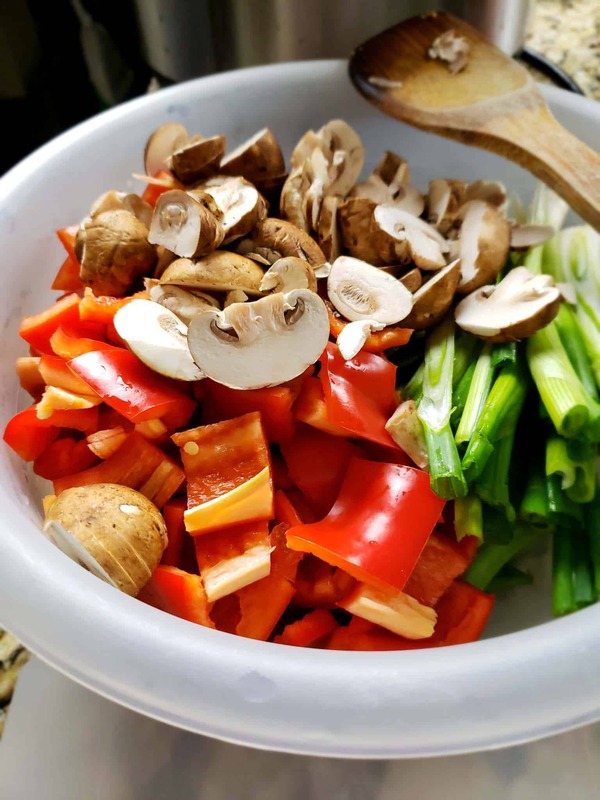 Stir fry is a better way to cook vegetables rather than boiling, as it helps maintain nutrients which leak out of the food into water. 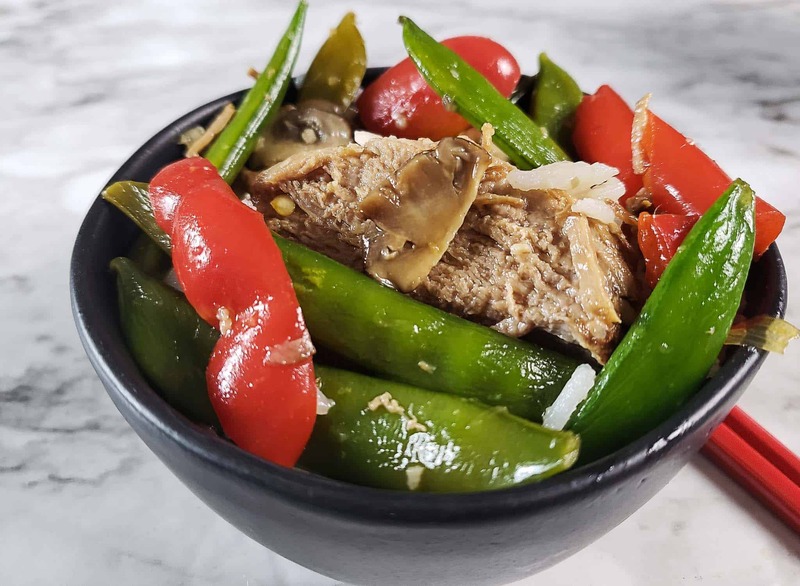 This Instant pot recipe uses the Saute button and tastes super yummy. Set instant pot to saute mode. Add in olive oil. 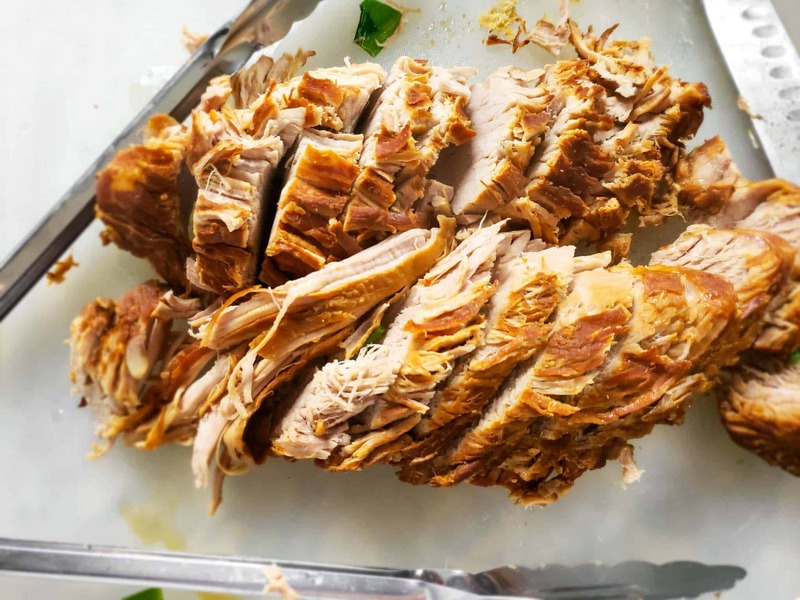 Place pork loin into the instant pot and sear on all sides. Add in teriyaki sauce and turn off saute mode. 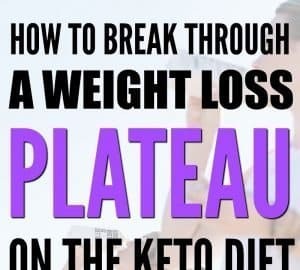 Place lid on instant pot. Turn valve to closed position. Set to high pressure for 30 minutes. Once the instant pot stops counting quick release pressure. Meanwhile, slice the peppers, mushrooms, and onions. Leave the chives to the side in a small bowl. Remove the pork to a cutting board and slice. Set instant pot to saute mode. 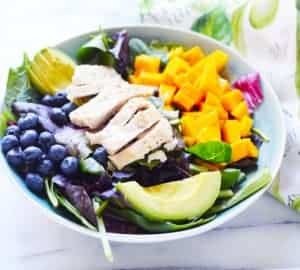 Place vegetables and fruit into the pot. Set lid on top but do not lock. Let steam 2 minutes then stir. Steam another 2 minutes then test vegetables for desired tenderness. 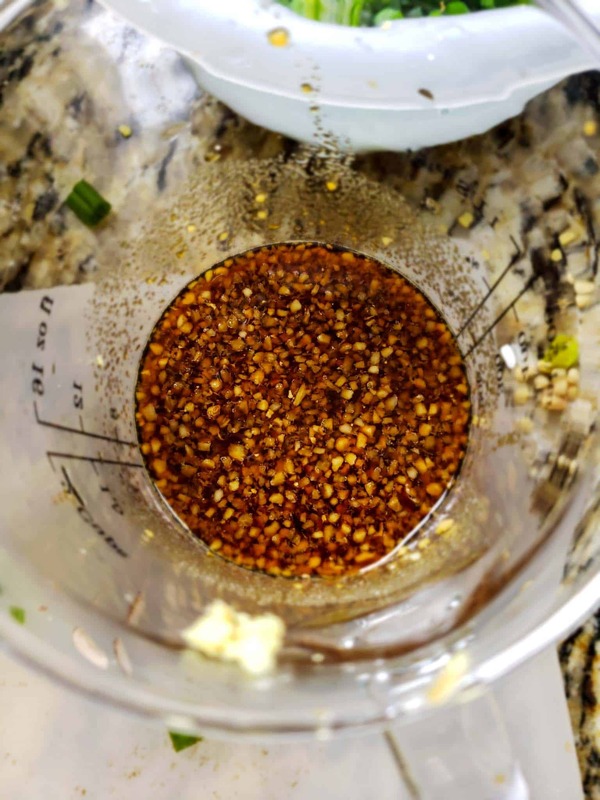 Mix together the brown sugar, teriyaki sauce, ginger, and garlic. Pour over vegetables and stir well. Add the pork and turn off saute mode. Top with black pepper. For gluten free use Kikkoman gluten free teriyaki sauce. The brown sugar is the thickener so if you want to replace it you can with honey but will need a thickening agent like cornstarch. Set instant pot to saute mode. Add in olive oil. Place pork loin into the instant pot and sear on all sides. Add in teriyaki sauce. Turn off saute mode. Place lid on instant pot. Turn valve to closed position. Set to high pressure for 30 minutes. Once the instant pot stops counting quick release pressure. Meanwhile, slice the peppers, mushrooms, and onions. Leave the chives to the side in a small bowl. Remove the pork to a cutting board and slice. Set instant pot to saute mode. Place vegetables and fruit into the pot. Set lid on top but do not lock. Let steam 2 minutes then stir. Steam another 2 minutes then test vegetables for desired tenderness. Mix together the brown sugar, teriyaki sauce, ginger, and garlic. Pour over vegetables and stir well. Add the pork and turn off saute mode. Top with black pepper. For gluten free use Kikkoman gluten free teriyaki sauce. The brown sugar is the thickener so if you want to replace it you can with honey but will need a thickening agent like cornstarch.